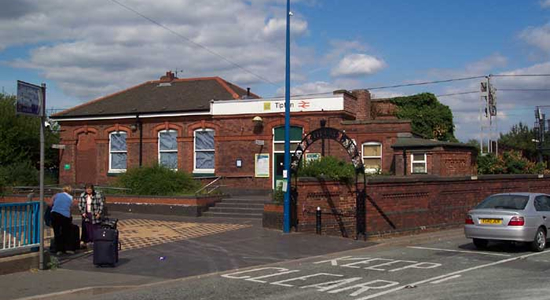 Tipton Station Opened in 1852 as 'Tipton Owen Street' on the LNWR main line through to Wolverhampton. 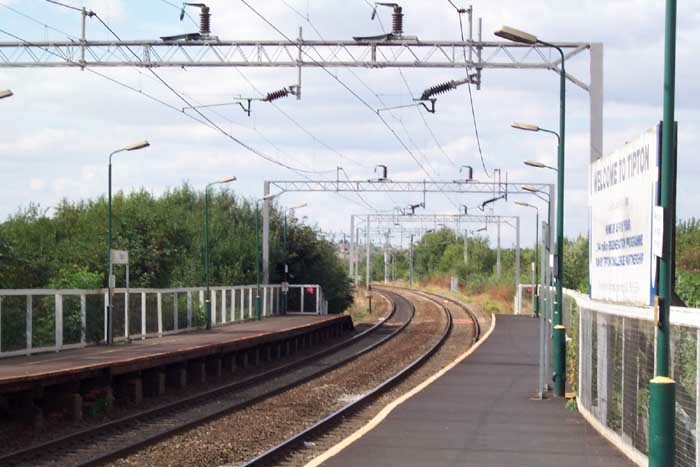 It is one of the few stations in this area that appears to have retained some of its earlier features, and indeed its operational status when considering the drastic 'rationalisation' of stations that took place on this line and its close neighbours. 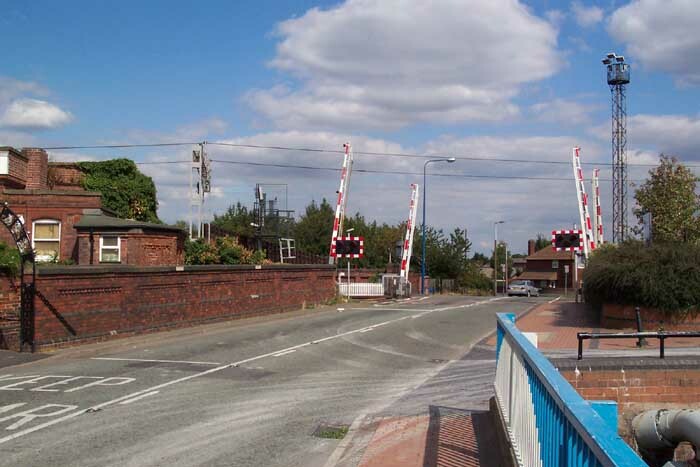 The entrance to Tipton Station from Owen Street can be seen above in September 2003. Above-left we are on the Birmingham platform looking towards Wolverhampton: note that, although not clear on the photograph, the platforms are of a supported wooden design and shake rather over-excitedly when a Virgin HST thunders through from/to Wolverhampton. On the extreme left you can just make out the head of the stairwell leding down to the platform subway. 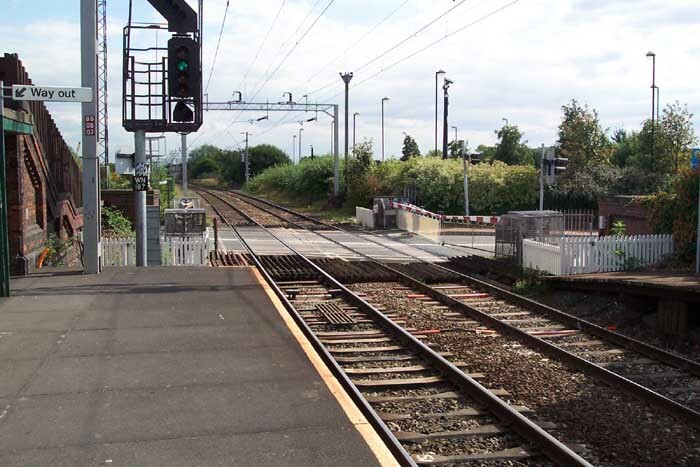 Above-right we see the Owen Street level crossing from the end of the Birmingham platform - it is an automated crossing. Above-left we are looking at the station building on the Wolverhampton platform from the Owen Street level crossing. 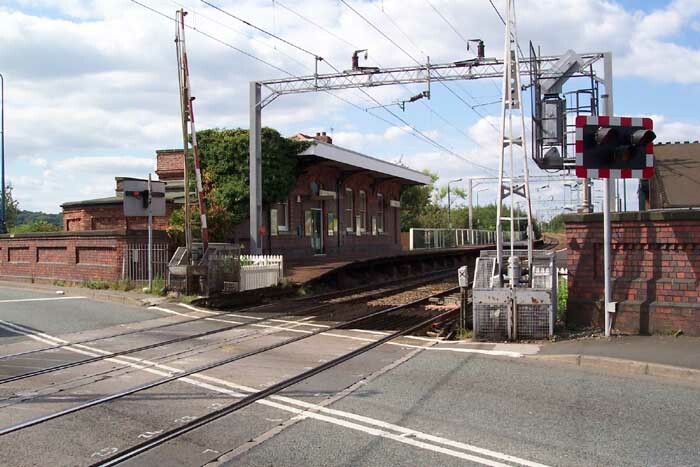 Above-right we are looking at the level crossing from the other side of Owen Street with the station building and entrance to our left.